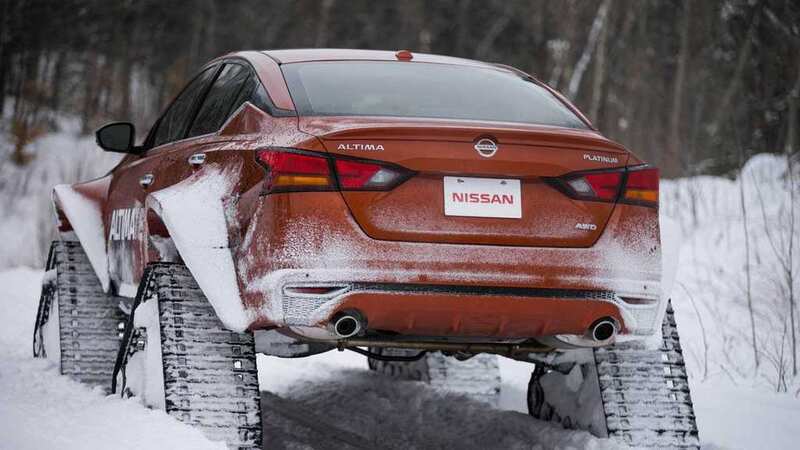 This Nissan Altima Is Fitted With All-Terrain Tracks! For every car out there, there’s probably a crazy modified version somewhere to be found. As car enthusiasts, we’ve seen our fair share of bizarre, cool, and downright awesome car modifications over the years. For some reason, it seems as though they get crazier, weirder, or better every single year. Thanks to the advent of new technology, car modding enthusiasts are able to do weirder and bolder things to their cars, which means that we get treated to new mods every year. 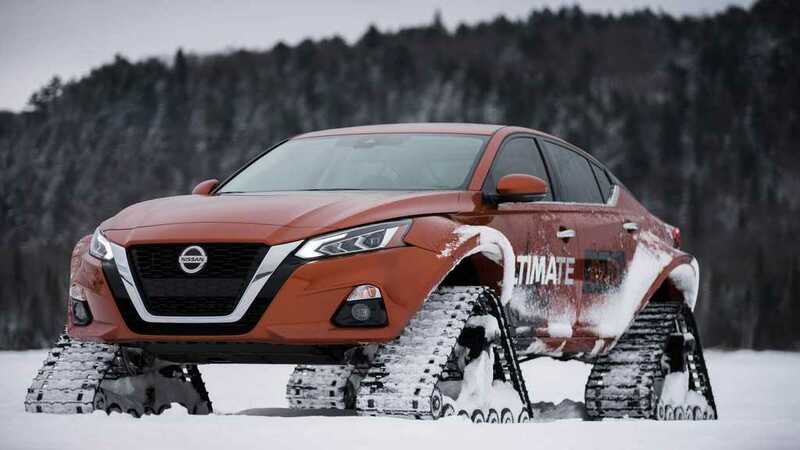 A good example of this would be this amazingly cool Nissan Altima which has been fitted with custom made, all-terrain tracks! 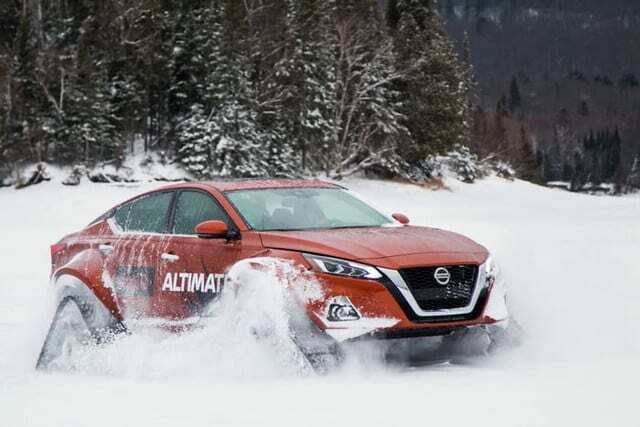 While the car does work perfectly (and it looks cool too), it will only be available for viewing at a Montreal car show and is called ‘The Altimate AWD’ because of its unique ability to handle a variety of terrain types with ease, but more specifically the snowy terrain you’re likely to find around Canada. The car was originally created by Nissan (obviously), but in a rare example of ‘cool,’ they were also responsible for commissioning the modifications from a company known as Motorsports In Action, which took an estimated 150 hours to complete. Not bad when you realize how safe, secure, and simply awesome this version of the Altima is! The tracks, otherwise known as ‘Dominator’ tracks, were created by a company known as American Track Truck and are 1,220mm long, 750mm tall, and 380mm wide – making them a little larger than the standard 19-inch rims that the Altima comes with. To accommodate for the modifications, the car’s flares had to be widened in by an additional 180mm so that the tracks could fit in them comfortably, while still retaining structural integrity. One thing is for certain, and that is that if you’re ever in snowy terrain – this is the Altima you’d rather have!